In 1934, Kemal Atatürk delivered these words to the first Australians, New Zealanders and British to visit the Gallipoli battlefields. They were later inscribed on a monolith at Ari Burnu Cemetery (ANZAC Beach) which was unveiled in 1985. The words also appear on the Kemal Atatürk Memorial, Canberra, and the Atatürk Memorial in Wellington. Let us take this day to remember all those, from Australia and New Zealand who gave their lives, not only in 75(NZ) Squadron RAF, but in every conflict before and after. This entry was posted in general and tagged 1940, 1941, 1942, 1943, 1944, 1945, 75(NZ) Squadron RAF, Ake Ake Kia Kaha, ANZAC DAY 2017, April 25th ANZAC Day, Aviation, Bomber Command, Feltwell, Mepal, Newmarket, World War 2 on April 25, 2019 by 75nzsquadron. What follows for this ANZAC Day post is a list of all RNZAF and RAAF airmen who lost their lives flying with 75(NZ) Squadron RAF. They are listed by country and graveyard. Adegem Canadian War Cemetery, Belgium. Ostende New Communal Cemetery, Belgium. Berlin 1939-1945 War Cemetery, Germany. Reichswald Forest War Cemetery, Germany. Amersfoort (Oud Leusden) General Cemetery, Holland. Amsterdam New Eastern Cemetery, Holland. Bergen-Op-Zoom Canadian War Cemetery, Holland. Doetinchem (Loolaan) General Cemetery, Holland. Eindhoven (Woensel) General Cemetery, Holland. Flushing (Vlissingen) Northern Cemetery, Holland. Gilze-En-Rijen (Gilze) Roman Catholic Cemetery, Holland. Jonkerbos War Cemetery, Nijmegen, Holland. Rotterdam (Crooswijk) General Cemetery, Holland. Tilburg (Gilzerbaan) General Cemetery, Holland. Westdongeradeel (Holwerd) Protestant Cemetery, Holland. 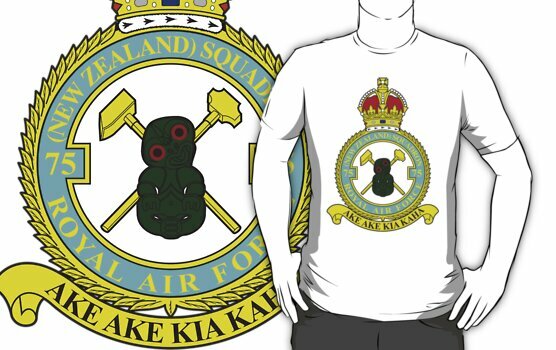 This entry was posted in general and tagged 1940, 1941, 1942, 1943, 1944, 1945, 75(NZ) Squadron RAF, Ake Ake Kia Kaha, ANZAC Day, ANZAC Day 2018, April 25th ANZAC Day, Aviation, Bomber Command, Feltwell, Mepal, Mildenhall, Newmarket, World War 2 on April 25, 2018 by 75nzsquadron. I would like to take this years ANZAC Day post to announce another significant update to the 75(NZ) Squadron RAF Roll of Honour. The Roll of Honour in its original guise was very generously gifted to the Blog when it began, by Kevin King, Chairman of the UK Squadron Association. Its original creation was a significant undertaking, taking Kevin and John Tyler several years to compile the full Roll in the days before the internet. Two years ago, a first significant advance was announced with the addition of gravestone images to the Roll of Honour from the New Zealand War Graves Project. This year sees the re-presentation of the Roll of Honour with significant extra information for each individual listed. Added to the existing information is the individuals trade position and where it exists their memorial inscription. Additionally, the Form 540 Diary entry is added along with the full list of the crew that the individual in question was flying with. Finally, any known details of the fate of the individual and their crew are included. With a total of 1,139 Squadron members lost during the Second World War, the addition of this extra material has been a significant, but, I feel, a very worthwhile project. I would welcome any additional material that relatives might wish to add and I intend as time allows to add, where available, images of the lost airmen. This entry was posted in general and tagged 1940, 1941, 1942, 1943, 1944, 1945, 75(NZ) Squadron RAF, Ake Ake Kia Kaha, ANZAC DAY 2017, April 25th ANZAC Day, Aviation, Bomber Command, Feltwell, Mepal, Newmarket, World War 2 on April 24, 2017 by 75nzsquadron. I thought I would use this years ANZAC Day commemorations to announce a very significant step forward regarding the ‘Gravestone Image Project, relating to the Roll of Honour section of the blog. I have great pleasure in announcing the incredibly generous granting of permission for the display of the gravestones of the RNZAF aircrew from the Squadron that have so far been collected by the New Zealand Gravestone Project. Relative to 75(NZ) Squadron RAF, this means the instant addition of 296 gravestone images which lifts the completion of our Roll of Honour project to 36% (410 images). The activities and collection of images for the New Zealand War Graves Project is ongoing, so as the collection increases, I would hope that further images can be added. There are 31,758 New Zealanders whom the New Zealand War Graves Trust project has been able to identify to date who, serving with New Zealand and Allied forces, died in conflicts from the Anglo-Boer War (1899-1902) up to the present day and in peacekeeping operations. They are commemorated by burial in Commonwealth War Grave cemeteries, public cemeteries, graves in New Zealand or by inscription on memorials world wide. To photograph all the war graves and primary memorials of New Zealanders who, serving with New Zealand and Allied forces, died in conflicts, from the Anglo-Boer war (1899-1902), to the present day and in peacekeeping operations. Our research has identified 31,758 New Zealand war graves in 79 countries including New Zealanders serving with other Allied forces. To produce a photographic record of the relevant major cemeteries and surrounding areas. To create a digital archive and database, accessed via a website, enabling free public access to their biographical information and images. To instigate community and education programmes based around the project. To instigate the making of a TV documentary telling the story of the project, the cemeteries, but most of all the servicemen. To co-operate and collaborate with others working in similar areas, to ensure accuracy and compatibility of data. The Commonwealth War Graves Commission, funded by all Commonwealth governments, administers the cemeteries and memorials. Administration in New Zealand is charged to the Ministry for Culture and Heritage. The Commission has developed an excellent website, containing a database of servicemen and some pictures of the cemeteries in their care. The Ministry for Culture and Heritage has an informative site, giving some detail of their operation in this area. Our project builds on this information by developing an exhaustive high-resolution photo-archive of all cemeteries, headstones and memorials of New Zealand servicemen, who died in conflict. Our internet site is the obvious and logical way for the public to access the archive at present, but a parallel main purpose of the project is to collect the images and associated information in such a way as to form an historical text for future use. While the largest numbers of casualties are located in the areas of the major battles and campaigns (Gallipoli, Greece, North Africa, Western Front, Italy…), New Zealand forces have served in most of the major conflicts of the 20th Century and their graves and memorials are spread across most of the world. Amongst these are “oddities” such as the single graves in the Faroe Islands, Falklands and Azores, the servicemen interred in the USA, Iceland and Bangladesh and those graves scattered throughout the African continent. These are of interest in New Zealand’s military history and illustrate the diverse theatres of war, numerous for a small country, where New Zealanders served. In New Zealand there are the graves and memorials of 3,484 New Zealanders in service that perished both at home and overseas. Some are buried in the 127 servicemen’s cemeteries, others in local churchyards. Many are commemorated only on memorials, as their remains were lost. 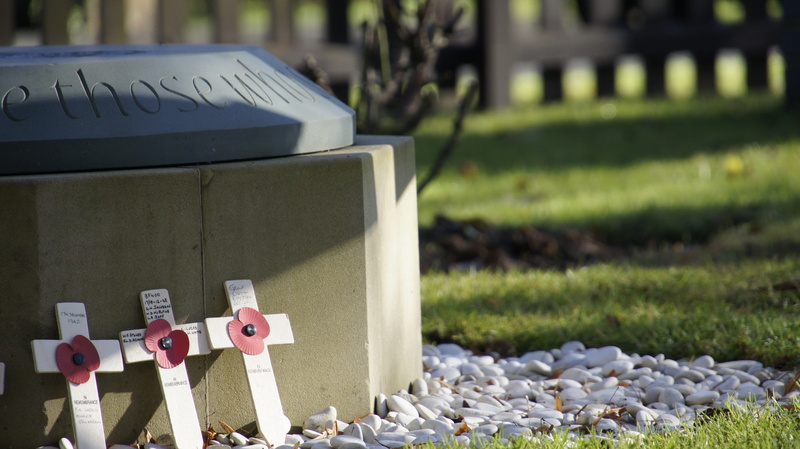 The United Kingdom in our most recent estimation is the last resting place of 2,110 New Zealanders serving overseas. The scope of the project extends the numbers contained in the Commonwealth War Graves Commission database (until recently focused on World War I and World War II), to include those that died subsequent to their World War II cut off of 1st December 1947 (Jayforce, Korea, Malaya, Vietnam etc). Numbers of war dead contained in this proposal are from the Commonwealth War Graves Commission and the New Zealand Ministry for Culture and Heritage. Please take some time to visit the New Zealand War Graves Project here. Having personally spent some time going through the New Zealand War Graves Project website, there is a clear chance to assist them in their project as they have with ours. Each individual recorded has the space for extra information to be added about then, this includes the opportunity to add photographs. Please, if you have something to add to make real the memory of a loved relative recorded on the site, do so. Certainly, as and when I get time, I will be looking to add some information for each of the airmen listed that flew with 75(NZ) Squadron RAF. 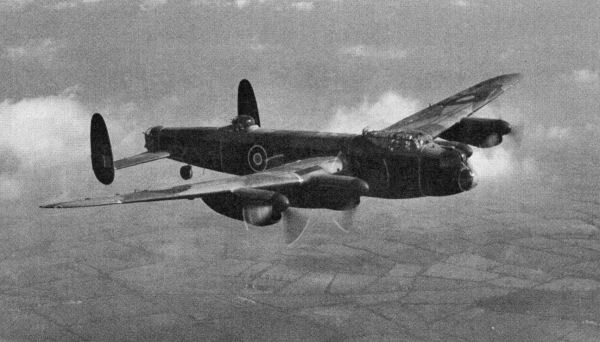 This entry was posted in general and tagged 1940, 1941, 1942, 1943, 1944, 1945, 75(NZ) Squadron RAF, Ake Ake Kia Kaha, ANZAC Day 2015, April 25th ANZAC Day, Aviation, Bomber Command, Feltwell, Mepal, NEw Zealand War Graves Project, Newmarket, World War 2 on April 24, 2015 by 75nzsquadron. Lest we forget – Reflections on ANZAC Day and why we should never forget to remember…..
John McFarland, Navigator with Henry Murray’s crew, 4 of who were lost on the night of 19th April 1944 and who now lay in Gram Churchyard, Denmark. 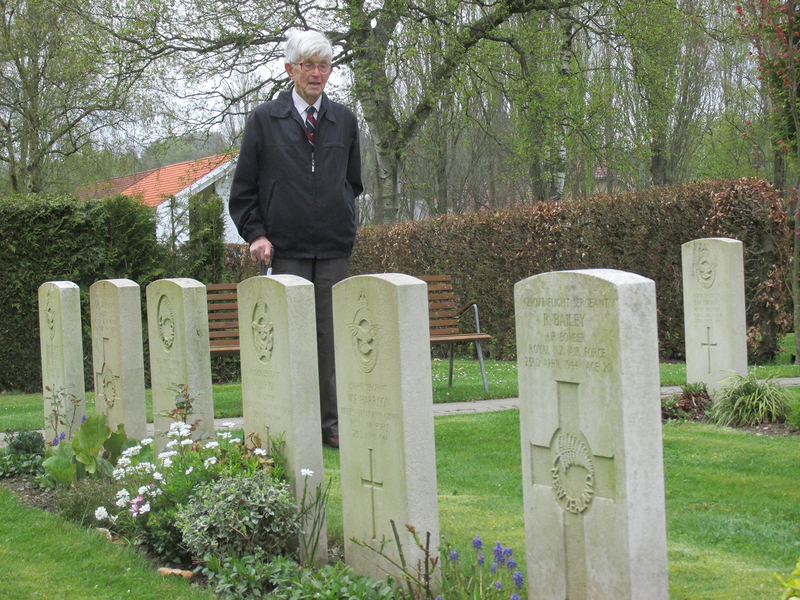 John stood with the crew of Mauson Lammas in Aabenraa Cemetery, also in Denmark. The Lammas crew were lost 4 days later, to the same target – all were killed. Many thanks to David, Son of John McFarland for sending images of the gravestones of the Lammas crew who now rest in Aabenraa Cemetery, having been lost on the 23rd of April 1944. These pictures were taken on the same visit to Gram Churchyard to remember the 4 of John’s crew who were lost on the 18th April 1944. 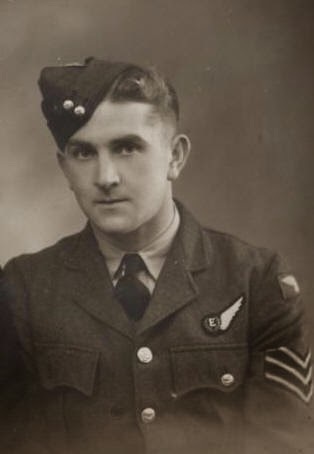 Perhaps having spent the last couple of weeks working on the reordering of the Roll of Honour, the adding of gravestones to the Roll of Honour and writing about lost crews in support of some of these image donations, I began to feel again the overwhelming sense of loss that I felt when I began to research about Dad and the Squadron. When I say overwhelming loss, in the first instance, this was entirely personal and related solely to the recent loss of my father and mixed up in this was also my painful realisation that having simply left it too late,I would now never know the answer to so many of the questions I now had for him. As my research progressed however, with the acquisition of the Squadron Operational Record books, I began to understand the brutal regularity of the loss of crew in the Squadron. The brutality of war and death in war is obvious, but it was the cold, clipped reportage of the loss of these young boys in the official pages that struck me – the loss of another 2 or 3 crews on a certain raid became nothing other than a matter of record, no emotion or regret of loss was recorded with the up and down times and the bomb loads carried that night……..
And so to ANZAC day. To be honest, what I was going to post this year was a mystery to me until I realised the work on the Roll of Honour could be edited to present the New Zealand and Australian boys on their day. As I remarked in the ANZAC DAY post, it felt awkward to be deleting the names of the other airmen, even though they still existed on another tabbed page within my spreadsheet document. I didn’t expect the level of views over ANZAC and the following few days – neither did I expect the number of contacts from people regarding the posts I had made or with a mention of a loved one now gone. I realised, though perhaps obvious, that the sterile pages of the ORB have become perhaps too familiar to me – walking down their corridors I now recognise dates and names and when I see them I know they will not return the following night or the following week – the ORB tells me these things as simple record of fact – a page is turned and a life is lost. What is actually all too easy to forget, is that these boys are not forgotten. The reason that we rise at dawn to remember them is simply because we have not forgotten them. They live in the hearts of those of us that live on and their memories are something special to us. We might not understand what they did or how they did it, that they were sick with nerves before flying or were too scared to talk of their fear in case they were deemed unfit to fly – all we understand is that they did it. In doing what they did, our luxury is to be able to remember these acts rather than confront how we might deal with the same. For this alone, we should remember and celebrate their names and their faces, still smiling from those cherished photographs – they will not age as we do, their memory will not fade, as long as we never forget them. This entry was posted in general and tagged 1940, 1941, 1942, 1943, 1944, 1945, 75(NZ) Squadron RAF, April 25th ANZAC Day, Feltwell, Mepal, Mildenhall, Newmarket, They shall not grow old on April 27, 2014 by 75nzsquadron. The Australian and New Zealand forces landed on Gallipoli on 25 April, meeting fierce resistance from the Ottoman Turkish defenders. What had been planned as a bold stroke to knock Turkey out of the war quickly became a stalemate, and the campaign dragged on for eight months. At the end of 1915 the allied forces were evacuated, after both sides had suffered heavy casualties and endured great hardships. Thousands lost their lives in the Gallipoli campaign: 87,000 Turks, 44,000 men from France and the British Empire, including 8500 Australians and 2721 New Zealanders.. News of the landing on Gallipoli had made a profound impact on Australians at home, and 25 April soon became the day on which Australians and New Zealanders remembered the sacrifice of those who had died in the war. Whilst not the only Commonwealth Squadron, 75(NZ) Squadron was the only to carry it’s country of origin. During the period of the Second World War, the Squadron lost 1139 members, of which 469 were New Zealanders and 12 were Australian. What follows is a list of all RNZAF and RAAF airmen who lost their lives flying with 75(NZ) Squadron RAF. They are listed by country and graveyard. This entry was posted in general and tagged 1940, 1941, 1942, 1943, 1944, 1945, 25th April 1915, 75(NZ) Squadron RAF, Ake Ake Kia Kaha, ANZAC Day, April 25th ANZAC Day, Gallipoli on April 24, 2014 by 75nzsquadron. This entry was posted in general and tagged 1940, 1941, 1942, 1943, 1944, 1945, 25th April 1915, 75(NZ) Squadron RAF, Ake Ake Kia Kaha, ANZAC Day, April 25th ANZAC Day, Gallipoli on April 24, 2013 by 75nzsquadron.